After 130 years, kalo is growing again in Lahaina's Kahoma Valley. 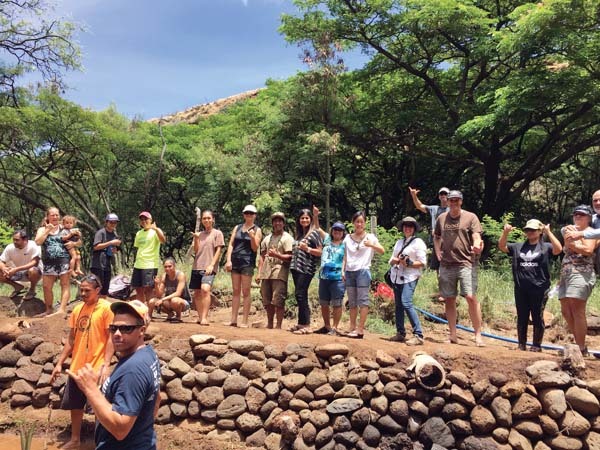 Maui residents gathered last month to plant 70 stalks of kalo in the area, after years of work to restore the flow from Kahoma Stream. Many called it a historical event and celebrated the return to ancestral lands to grow food and reconnect with the Native Hawaiian culture. "Taro has not grown in that valley for 130 years," said Archie Kalepa, of Lahaina. "For us to do the first planting in 130 years . . . was really amazing." The lo'i or taro patches in the valley were dry for decades because Kahoma Stream water had been diverted to irrigate sugar plantations. After the closure of Pioneer Mill, residents have advocated for the release of stream water to return to their customary and traditional practices. 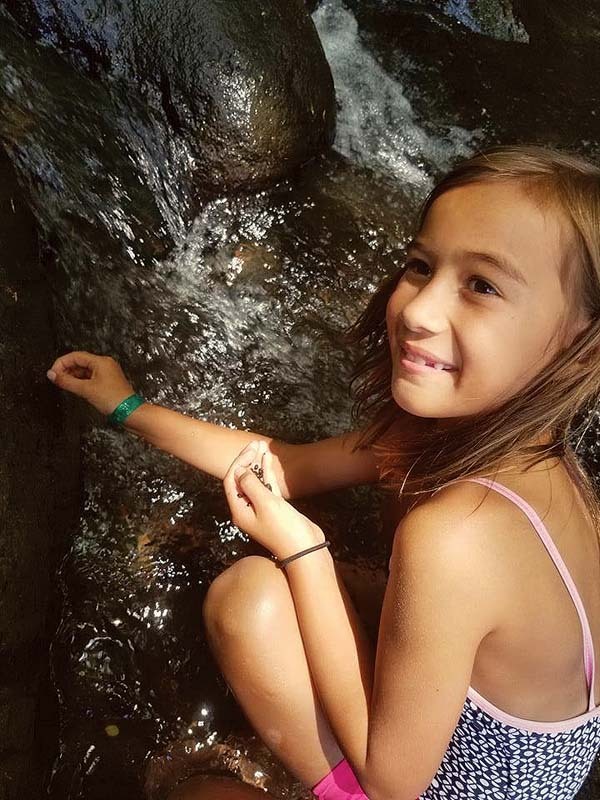 Seven years ago, the water was released by Kamehameha Schools, and it took five years for mauka to makai, or mountain to sea, connectivity. 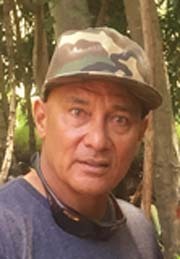 Community group Na Kuleana O Kahoma has spent close to two years clearing and eradicating invasive trees to restore kalo. 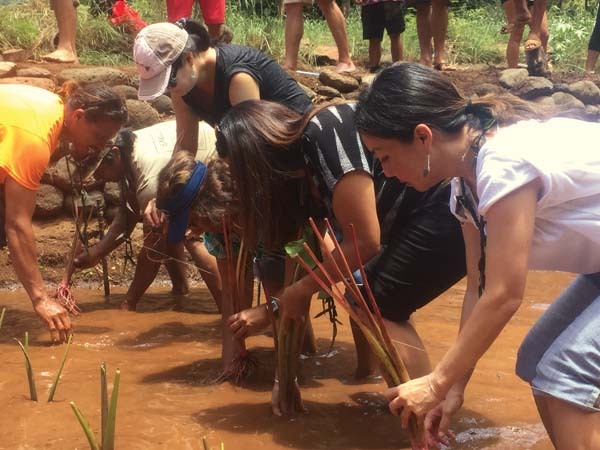 Dozens gathered July 30 to celebrate the historic planting and release of native shrimp and snails, including Polynesian Voyaging Society President and former Kamehameha Schools trustee Nainoa Thompson. He praised his fellow trustees for having the vision that the school's valuable land assets could benefit education, culture and the environment, organizers said. "Today is about a miracle of renewal," Thompson said. "We are moving. This is not just important for Kahoma, this is important for every stream. Every family who lost their lands for the wrong reason. It's important for all of them." Kalepa hopes to create a nonprofit so the family lo'i can be a center of culture-based learning in the the future.